A spacious three bedroom split level flat on London Road, located within close proximity to West Croydon Station and Croydon University Hospital. The property boasts a spacious separate lounge and fully fitted kitchen, three large double bedrooms and family bathroom. This will be ideal for a family or three professional sharers. EPC Rating D. AVAILABLE FROM MID APRIL 2019. Please call Choices Croydon now to arrange a viewing. This property is marketed by Choices, Croydon at £1,550 per month. Rightmove has calculated the price per week for comparison purposes only. 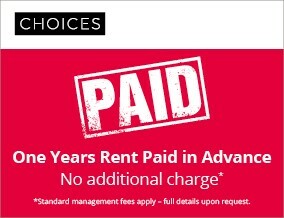 Move in charges apply - ?90 Including vat per person, inc. guarantors and permitted occupants, for referencing and a credit check, plus a one off fee of £175 including vat for the administration of the new tenancy. These charges may be non-refundable and other fees may apply depending on your circumstances. Property reference 7967684. The information displayed about this property comprises a property advertisement. Rightmove.co.uk makes no warranty as to the accuracy or completeness of the advertisement or any linked or associated information, and Rightmove has no control over the content. This property advertisement does not constitute property particulars. The information is provided and maintained by Choices, Croydon.